It’s all from the farm today: Lambs! Finally! Lady Baa Baa had two healthy, little ewe lambs last week. Yearling Pepper had an all white, frisky male Saturday night. 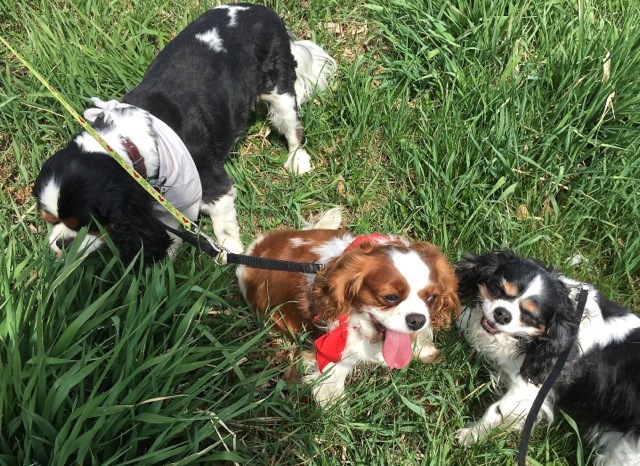 I thought of last week’s post about the healing powers of oxytocin while I watched them frolic this morning. I wish everyone could start their day watching lambs play; if they could I suspect the world would be a better place. 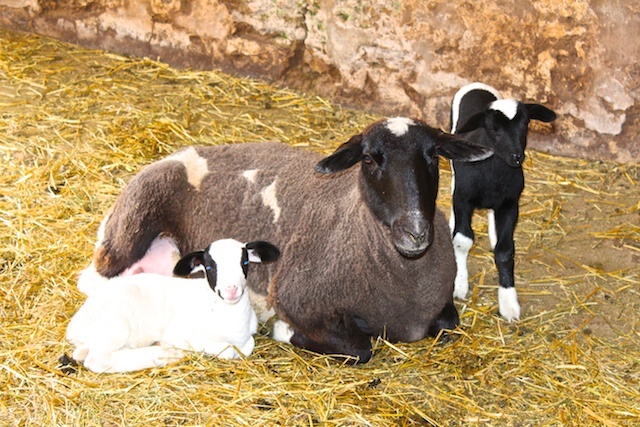 Here is Lady Baa Baa and her two adorsable lambs. (No, that’s not a typo. There’s something about the non-word “adors-able” that fits with baby lambs.) Was I not writing about the power of oxytocin just last week? Willie and Maggie got in a lot of sheep work this weekend. Here Willie stalks up to the flock to get them moving toward me. I love seeing the sheep with the sky as the background. 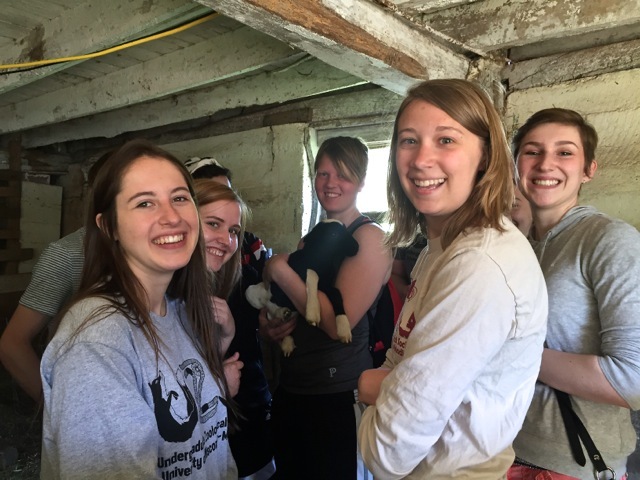 On Saturday the University of Wisconsin Undergraduate Society came out to meet the lambs and watch the dogs work. I love spending time with these energetic young students. I am sure that Jim and I had more fun than they did. Beth V) raised a miraculous $121,694! Thanks to friends, Facebook and people like you, I managed to go over my initial goal of $3,000 and contribute $4,380 toward the goal. Wow. Humbling. We brought Tootsie, shown here greeting some other Cavaliers at the beginning of the walk. We didn’t bring either of the BCs: A bit too much stimuli for Willie and definitely a no go for Maggie–she would have had a melt down. his shoulder surgery. I am sure that he never could live the life he does if it hadn’t been for Courtney and his surgeon, Dr. Susan Schaefer. 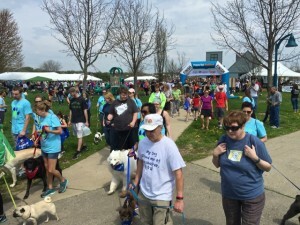 That’s Courtney on the left, with her dog Roscoe and her husband, whose name I can’t remember, because I can remember dog’s names but not people’s. Sigh. And finally, what spring weekend wouldn’t be complete without some serious gardening? Lots of that, including transplanting Dutchman’s Breeches (a native ephemeral wildflower) from a friend’s woods. 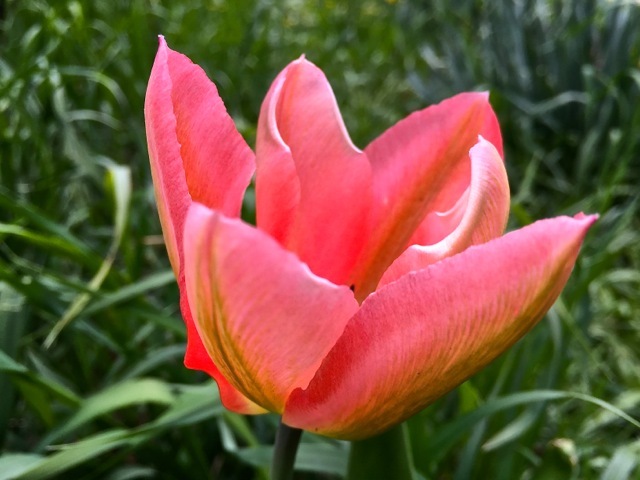 Most of the gardening included the unglamorous job of hacking away at raspberries and grape vines attempting to swallow my plum trees like a slow motion frog on a fly, but there was plenty of time to savor the beauty of our tulips. I do love tulips so… no wonder there were wars over them in times past. « The Healing Look of Love? 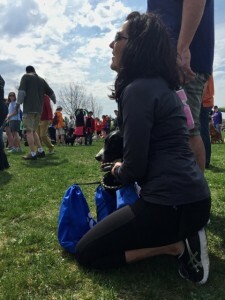 Oxytocin overload! Congratulations all round Trisha! Good for you on raising lots of cash for such an amazing cause. 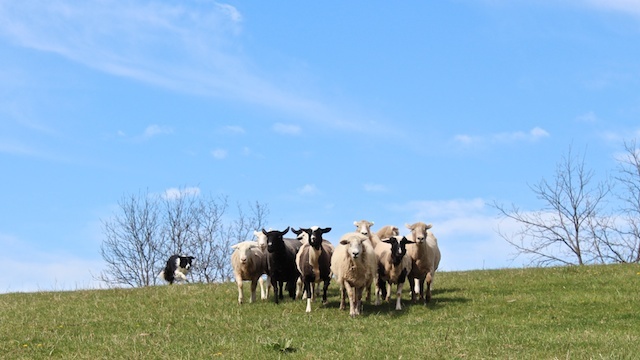 Love the pic of Tootsie and her new pals and Lady Baa Baa’s lambs are certainly adorbs! (a slang British word for adorable). How about Poker Face and Donatella for names? ( I stole them From Lady Gaga :)). Oops! I meant gamboling as in playing like Lambs, not gambling as in playing Poker. trisha, it seems someone else likes the idea of gambling lambs! Gambling lamb cartoon? Priceless! Thanks Nic1! you have a cavalier! Awesome!!! I love my tricolor, Daisy. Yay, Lambs! Adorsable indeed. Congratulations, and many kudos for your participation in Puppy Up! Mairsee Dotes & Dosey Doats & Little Lambsied Ivey-Adorsable! I’m the same way…it’s pretty much guaranteed that I’ll remember a person’s dog much easier than I’ll remember them. What fun – both the read and the pictures. I’m smiling – just like the little white lamb appears to be! Those two lambs are adorable or whatever word you can think of. Oh, how I wish I lived near a farm and I could go see baby lambs play. I do live very near the old Naval Academy Farm here in Gambrills, MD. It’s been taken over by the county and is supposed to become a park, but that was 2 years ago. There is a working organic farm that leases the place, and I do get to watch the cows and horses when they are in the pasture next to the road. I love to stop and watch.